"The day-to-day management of the city is really from the city manager," says Lynn Horsley, who covered city hall for nearly three decades at the Kansas City Star. "The manager hires and fires the department directors and directs the staff." Horsley says Kansas City has what's called a "weak mayor" or "bully pulpit." "The mayor is the political face of the city. He or she is the ambassador for the city and represents the city at national events," she says. The mayor's vote is only one of 13 city council votes, making him "weak." If the mayor wants a particular measure passed, he or she must cajole, or "bully," the other members into voting a certain way. The city manager is in charge of such matters as snow removal, pothole repair and trash service, though it's often the mayor who gets blamed when basic services fall short of expectations. 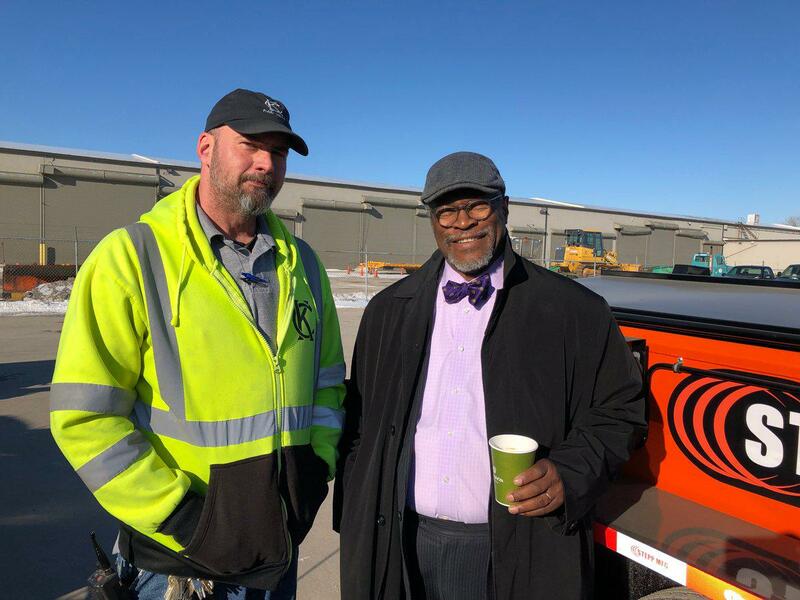 Kansas City Mayor Sly James championed public works employees in early March, after residents complained about potholes. "Mayors get elected saying they’re going to pay attention to basic services, then they find out that's really hard, and they turn their attention to signature projects like a downtown hotel or an airport or a big arena," Horsley explains. "It’s just easier to put your focus on a project than it is on solving crime or fixing all the water mains, but really, that's what voters care about." One way the mayor is able to get a particular agenda through the city is by appointing the members of council committees and a lot of boards and commissions. John Sharp, a former two-time city councilman for the 6th district who is now a columnist for the Martin City Telegraph, says the city council sets the budget, which dictates a lot. "The budget is the most important thing that a council does, because that really sets your policy. It's one thing to talk about 'Oh, we want to improve basic services,' or 'Oh, yes we're very concerned about crime,' and then not adequately fund either of those." So, Sharp says, a good mayoral candidate is someone with some budget experience. Sharp also says a strong candidate will have some experience in government, because business experience doesn't quite translate. 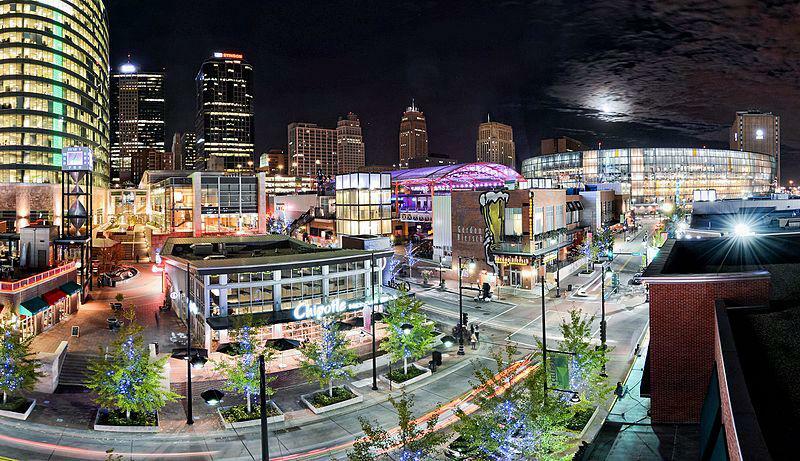 Kansas City's Power & Light District was a priority of mayor Kay Barnes. And when someone has government experience, a voter can look at his or her track record. Several current candidates have experience on city council; voters can review councilmembers' votes and see where their priorities lie. As a voter, the former city councilman says he wants specifics from each person running: How does that person plan to reduce crime if that's their platform? How will that person attract jobs and new businesses in order to generate tax revenue to fix infrastructure if that's what they say they intend to do? Horsley suggests voters ask: Can this person work well with others? Is this person capable of rallying support for important decisions? Will the person make a good ambassador for Kansas City? Is the person able to juggle priorities? And what are those priorities? Donors, endorsements and support base will also reveal a lot about a candidate. If a candidate has a small support base and no endorsements from prominent leaders, will he fare well under Horsley's proposed questioning? If every big donor to a campaign is a developer, will that potential mayor be able to think independently and with the city’s best interests in mind? Lynn Horsley and John Sharp spoke about the job of the Kansas City mayor on a recent episode of KCUR's Central Standard. Follow KCUR contributor Anne Kniggendorf on Twitter @annekniggendorf.